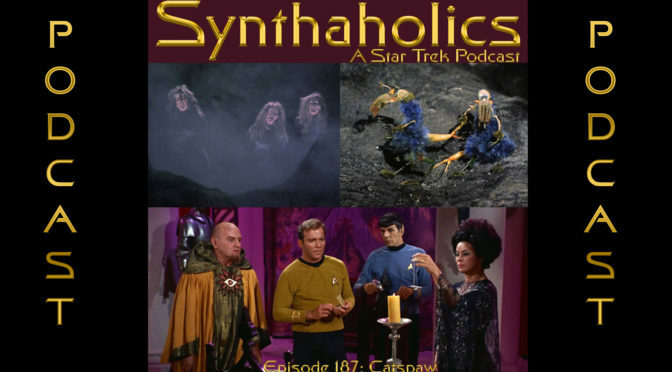 Happy Halloween from Synthaholics and the Star Trek episode Catspaw! But before we get into the episode we have some Star Trek news. This week it was announced that there was going to be a new Star Trek animated sitcom called Lower Decks! We all give our thoughts and opinions on this new show before we break down Catspaw. 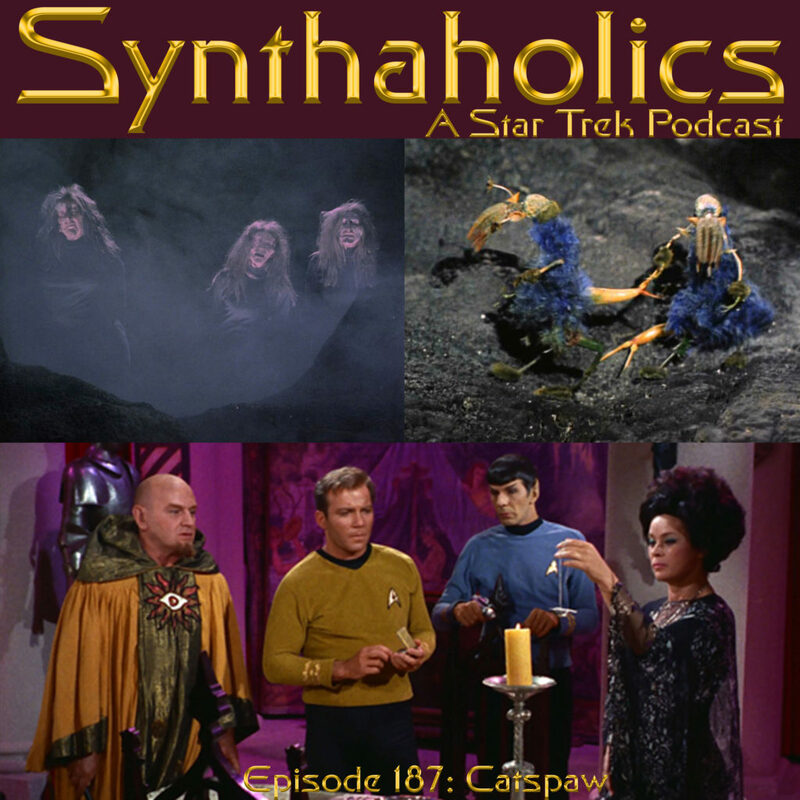 Catspaw was designed to be a Halloween episode of Star Trek so we thought it was a prefect time do discuss this episode. Beware all who enter and listen to this podcast, lots of silliness ensues cat and bird noises abound! This episode we also talk about how Halloween was for each of us growing up, turns out the three of us all had some pretty strict upbringings when it comes to Halloween. Break out your Halloween treats it’s time for your weekly shot of Star Trek!